Looking back on 2016 is both bitter and wonderful for me. My health played a huge role and this had a knock-on effect for practically everything else in my life. 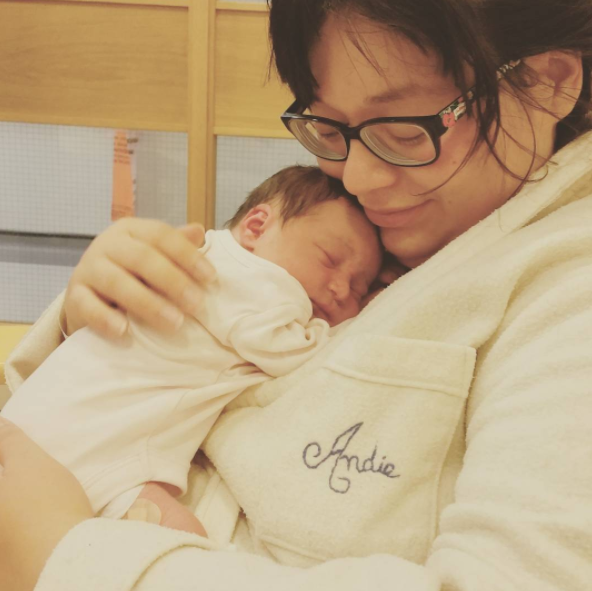 Firstly, I became pregnant in January and this was of considerable emotional stress for me, particularly because in autumn of 2015, I miscarried my first child (hence the road trip my husband took me on through Dorset, Hampshire, and Wiltshire – this helped a great deal). 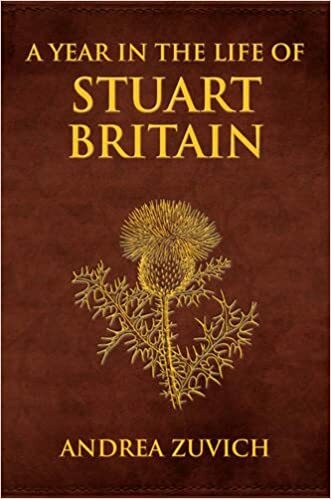 I was, early this year, also racing to complete my book, A Year in the Life of Stuart Britain, the deadline for which Amberley had kindly extended due to my intense emotional upheaval. 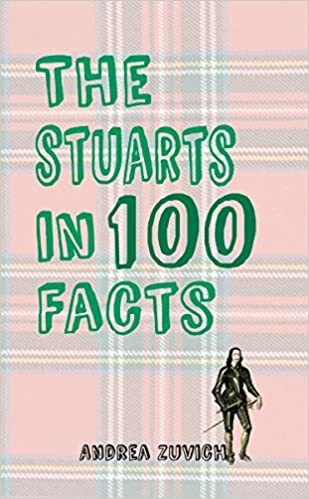 During the run-up to the book launch, I was delighted to be asked by BBC History Extra to write an article, Stuart Britain: what was life like for ordinary people? Throughout my pregnancy, I was very ill with vomiting, tiredness, and with what I thought was normal heartburn. I’m afraid I let down some people on a couple of projects because I was so unwell sometimes. Turns out my severe heartburn was indicative of a far more serious condition, which I’ll get to in a bit. 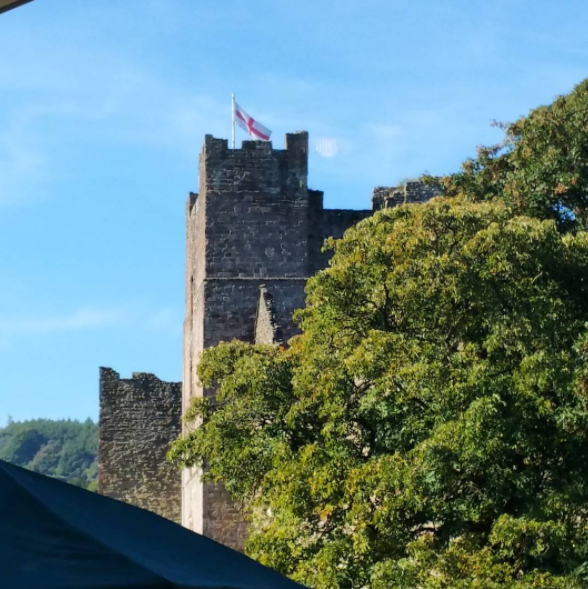 My husband and I also moved from Windsor, where we’d been living for the past two years, to a small village near Ludlow in Shropshire, England. The area has connections with Lord Craven (famed intimate friend of Elizabeth of Bohemia), among others. 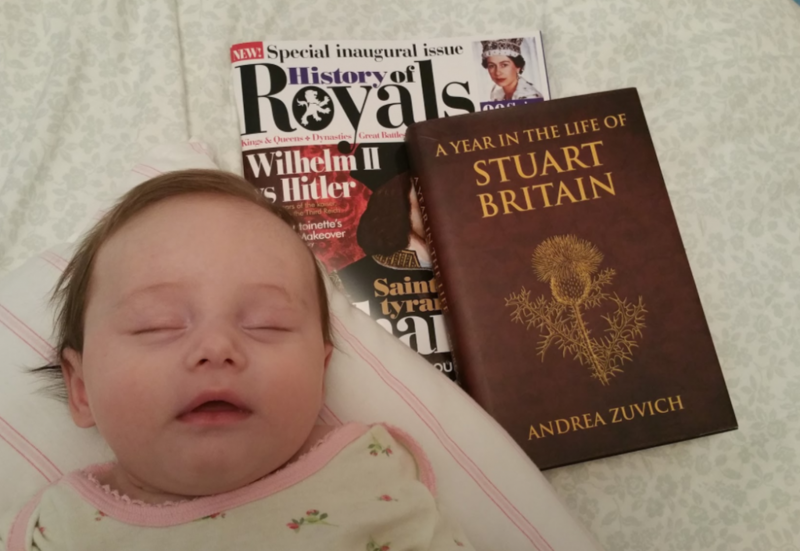 Besides A Year in the Life of Stuart Britain, I also began writing articles for the new history magazine, History of Royals. 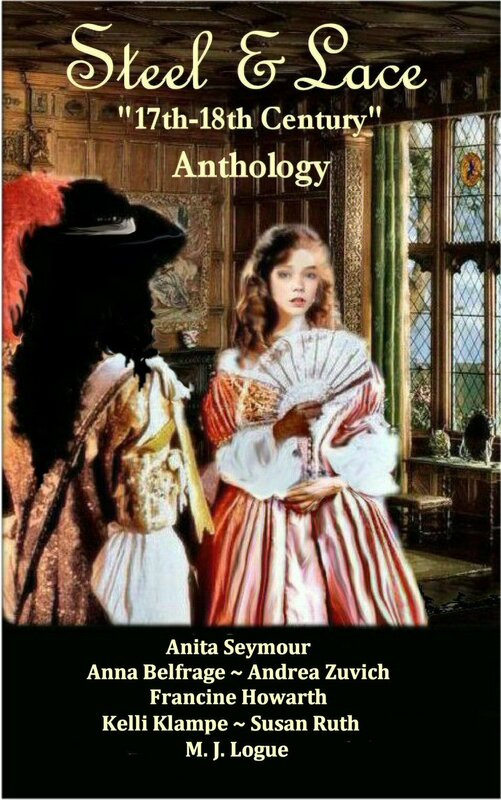 I had a blast doing these, from the Romanovs to Princes Rupert and Maurice, and the Monmouth Rebellion of 1685. I hope to be able to write more of these in the future. 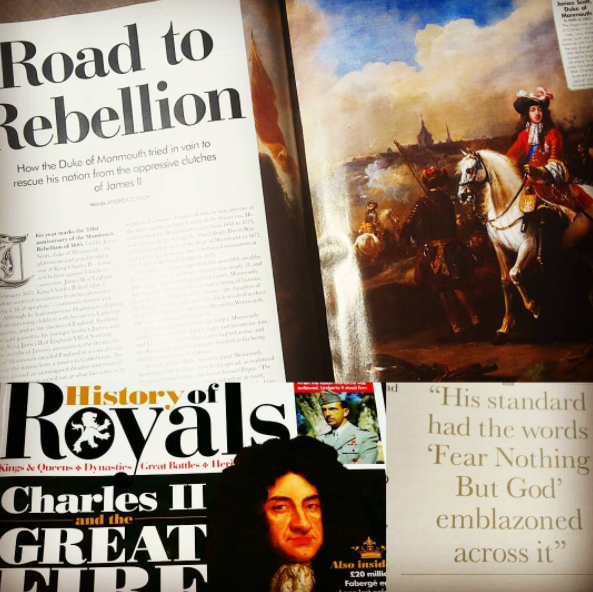 I also contributed to the Facebook history magazine, Britannia Magazine, with several history writers including Mark Simner, Amarpal Sidhu, Manimugdha Sharma, Josh Provan, Nick Britten, Christian Parkinson, and David King. 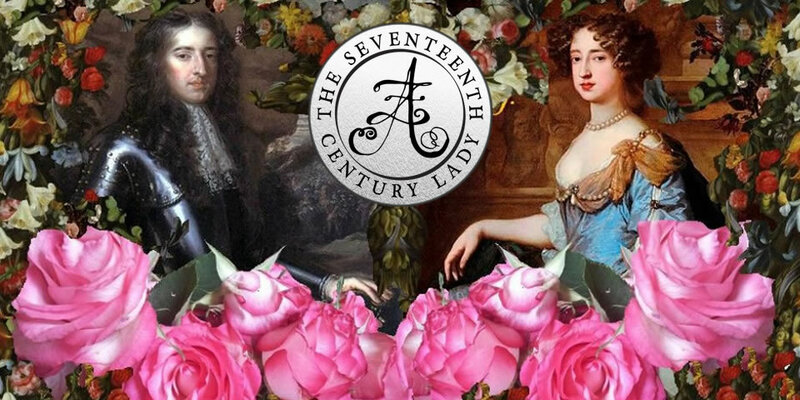 In September, I attended the Historical Novel Society Conference in Oxford, where I did a panel on Secret Stuart Marriages with historian Nicola Cornick. 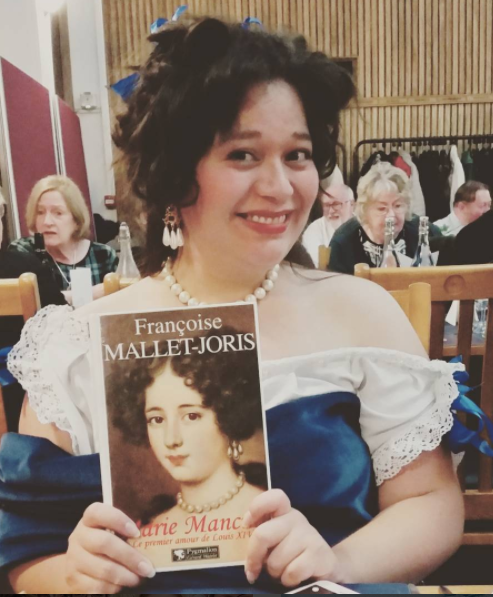 It was a memorable experience and I’m grateful for having had the opportunity of participating in this conference – where I was delighted to win third place in the costume pageant as Marie Mancini. 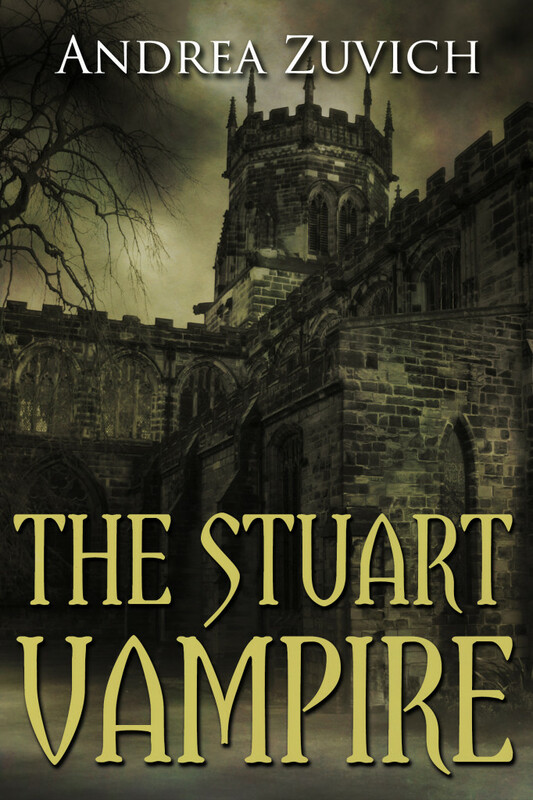 In mid-October, I gave birth to my first child, a daughter, Juliet, in Shropshire. Without a doubt, this was the best thing that’s ever happened to me. My husband and I are besotted by her and I can honestly say that, despite little sleep, I’ve never been happier. 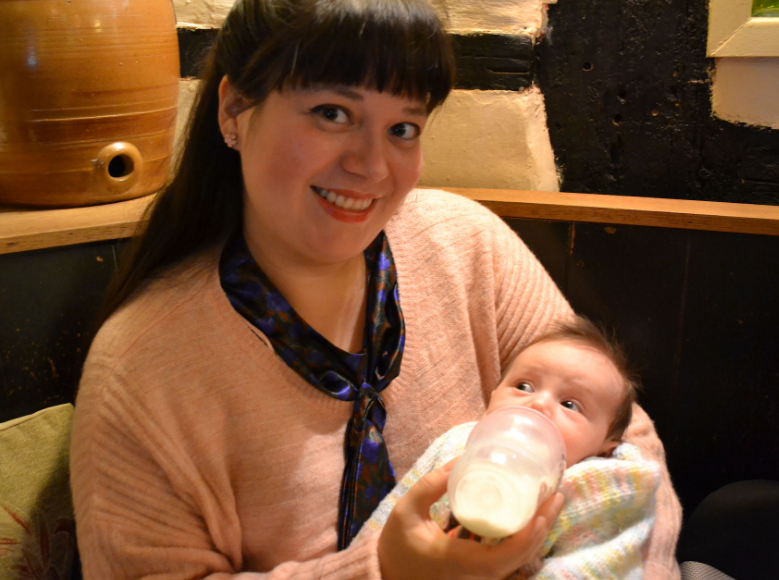 In late October, Halloween specifically, I was breastfeeding my daughter in the living room when, quite suddenly, I had terrible pain in my upper abdomen – it felt as though I had been stabbed through my chest and out my back. I thought I was having a heart attack and as I lay upon the floor while my husband rang for an ambulance, I said my goodbyes and was sure that I was dying. The pain was extraordinary and far worse than labour had been. I hope that none of you will go through such a painful ailment, as I wouldn’t wish that kind of pain on my worst enemy. I had gallstones which led to acute pancreatitis. 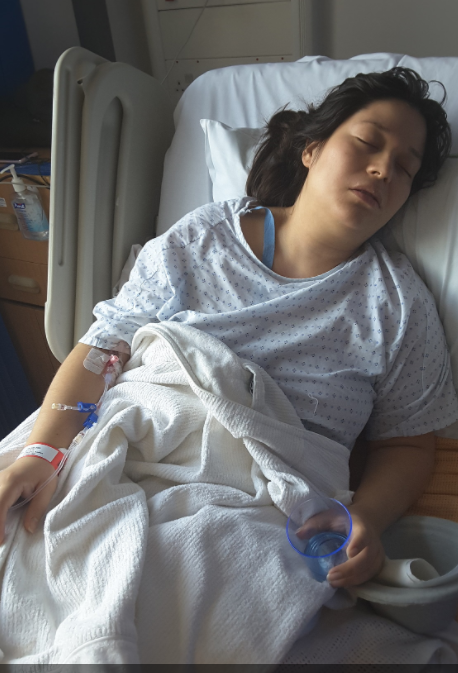 My gallbladder was removed in emergency surgery and I went home the next day. Three days later, I had another attack and – again by ambulance – went back to the hospital. Not a pretty picture, but it was my reality. I was wretched with acute pancreatitis and I was so ill that I asked for my mother – who lives in Florida – and my family made this visit possible. (By the way, I’ve largely been teetotal in my life, so when physicians asked if I’d been on a “binge” before getting pancreatitis, I had to laugh!). My gallstones and subsequent pancreatitis are believed to have been caused by my pregnancy (hormones etc were raised). Life-threatening experiences are great for making one remember what’s really important in life – not little quibbles on social media, not politics, not trivial annoyances, but family and true friends – end of. I’ve also seen who truly care about me and who actually don’t. It was a complete learning experience. Thankfully, thanks to modern medicine, amazing support from my family, and no little amount of luck, I survived it and I’m still here. I’m currently recuperating – and have largely recovered – and I hope 2017 will bring better health and much less drama. As for work from me in 2017, I’m not sure what I’ll be able to do as I wish to devote all my time to my daughter, if possible. That being said, we’ll see – I probably will be able to continue writing magazine articles, especially as I had such positive feedback about these from several readers. So from us to you, I do wish you all a very happy New Year! Well done, Andrea. You’ve got your priorities and heart in the right places, and work may be enjoyable and rewarding, but it can’ be #1 all the time. Thank you for sharing so candidly — we learn from each other, and pancreatitis is a more wide-spread problem than many know. And very painful. Take care and enjoy 2017. You have a wonderful attitude, Andrea, and I’m so glad that 2016 ultimately had a happy ending. Enjoy your daughter and I wish you and youf family a very happy 2017. Well, 2016 was quite a roller coaster ride for us all but particularly for you personally Andrea. So glad to hear that you are in good health now! 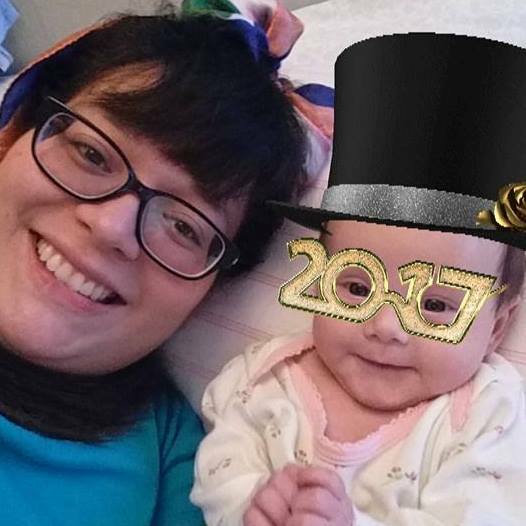 May you only carry those lovely 2016 highlights (especially the adorable Juliet) forward into 2017…Happy New Year! Delighted to see you looking well again. All the best for 2017. I had a health scare in 2016 (tests gave me the all clear) so I wasn’t even sick like you but it is a wake up call. Thank you, Sandra. I hope everything’s fine with you now, and yes, it certainly was a wake up call! I hope you have a happy and healthy 2017. Dear Andrea, Thank you so much for allowing us to become part of your life. It brings it home, that we are all humans and that life never is all plain sailing but being a rollercoaster, it not all down but also exciting and unpredictable. It teaches us to appreciate what we have and that if we had lived in the 17th century, most of us would no longer be around ! If you feel like a little break, escaping this world, I would be delighted to “treat” you( & family ) to a weekend “the 17th century” way. I think it might just be something you would enjoy in 2017 ! 🙂 ? So sorry to learn of your misfortune, but also delighted to learn of your newest blessings. Wishing you every happiness for 2017, Andrea! What a slalom ride 2016 was for you and yours. Hurray for twenty first century medicine!!! Wishing you and yours a healthy happy and successful 2017! 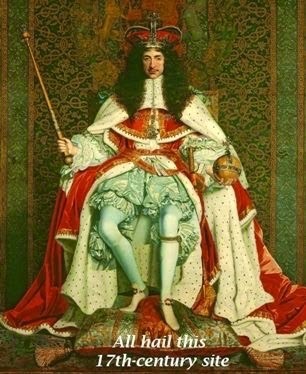 When I nearly died of a burst appendix, aged 28, I thought if this were the 17th Century, I would have died. When people say what a drag it is getting older, I just say no, each new year has been a gift to me and a new opportunity to be kind and helpful to others. I’ll be 58 this March, and that’s fine with me! Best wishes to you, Andrea, and all your family! Gosh, Andrea — I had no idea. 2016 has certainly been a bittersweet year for you. Your daughter looks so lovely, a positive sign that 2017 will be a year full of good things for you all. 2016 truly was a great year, Andrea! I look forward to working with you on Britannia Magazine in 2017!